Angelina Jolie and Brad Pitt reportedly snuck away from the kids for some alone time at the Sunset Tower Hotel in Hollywood – which happens to be Jennifer Aniston’s favourite spot. The A-list couple booked into a $2,500-a-night suite at the Hollywood hotel this week for a little romance without the kids and stayed in suite 1502, which boasts a wraparound terrace with stellar views of LA. So far, so dreamy – except the room the lovebirds stayed in happens to be the same suite that Brad’s ex, Jennifer Aniston, always chooses, according to the Daily Mail. The newspaper reports that the couple arrived at the hotel on Tuesday night, were whisked inside incognito via a service entrance, and stayed in their room until 11am the next day, enjoying room service on the penthouse balcony while they took in the views. 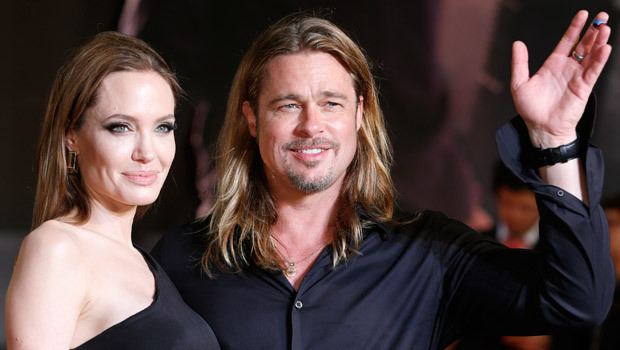 According to a source, the couple usually have date nights, planned by Brad, at Hollywood’s Four Seasons or Hotel Bel Air – but for this outing, Angelina was in charge and reportedly purposely picked the exact suite that Jennifer likes to stay in. The source also told the Mail that Angelina has tried to book this room in the past, unsuccessfully. All we know for sure? We’ll be camping outside the Sunset Tower – for research purposes, naturally – next time we’re in LA.